Around 12:30 a.m., two men were engaged in an argument near Parker and High streets. 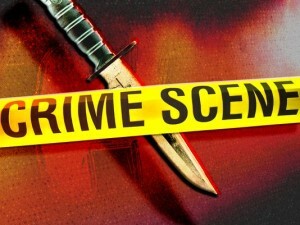 One of the men then drew a knife and stabbed the other multiple times. Responders transported the victim to a local hospital. His injuries were non-life threatening. Investigators believe both of the men are transients. Tell me if you’ve heard this one before, if you build it, they will come! Therefore, when is the ground breaking on Adam Hill and his wife’s 250 bed homeless shelter going to start, and that is proposed for Prado Road? These homeless that were involved in this knife fight need shelter for their recovery. It would be terrible if an actual tax paying citizen that lives in San Luis Obispo were involved in this manner, but still, the criminal homeless need shelter until they can strike again. and ran to save the two dead boys. Okay… so who is on first and what is on second?